I often see Mute Swans on the river Don at Dyce, but very rarely see them in flight. 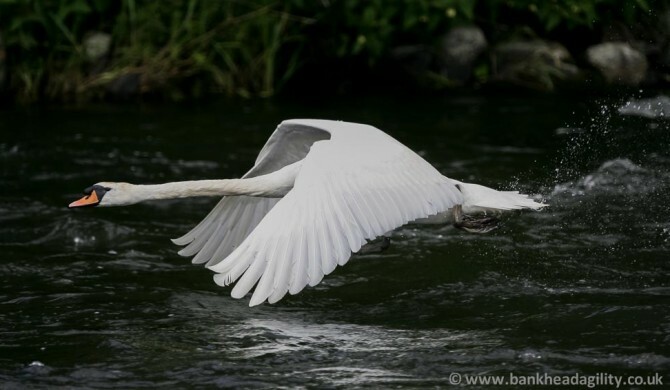 During a lunchtime visit I was lucky enough to see one of these graceful birds taking off and then flying low across the surface of the river. One of the benefits of qualifying for the Highland Final is the opportunity to spend the rest of the day at the Scottish Game fair and watch the other displays. 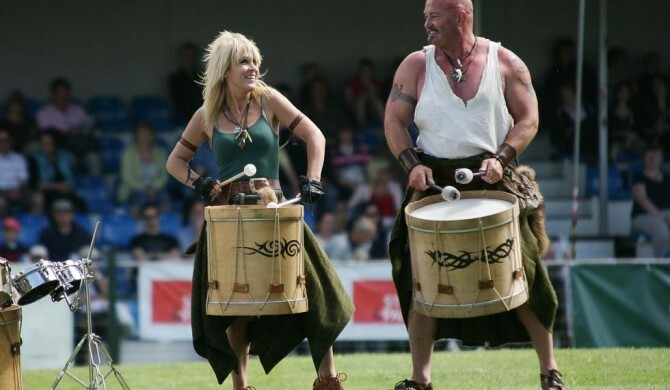 This year the Scottish Tribal Music Band Clann an Drumma (Children of the Drum) played a couple of times in the main arena. Their music is combines a heavy percussion element combined with Highland Bagpipes. 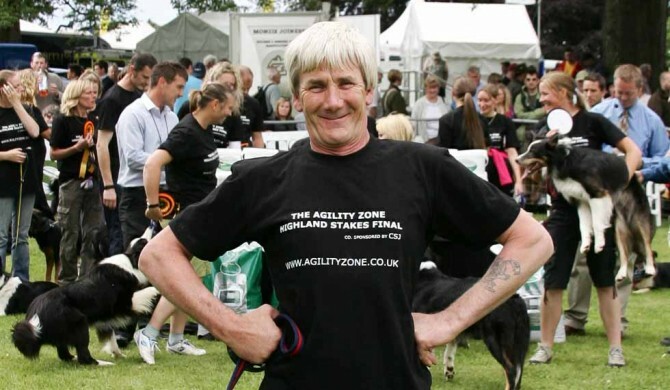 On the 3rd July, the Scottish Game Fair held at Scone Palace, Perth, hosted the 2010 Agility Zone Highland Final. Judged by Paul Thompson, looking very resplendent in his kilt, the final was won by Dianne Bisset, with Sarah Osbourne second and Agnes Campan third.